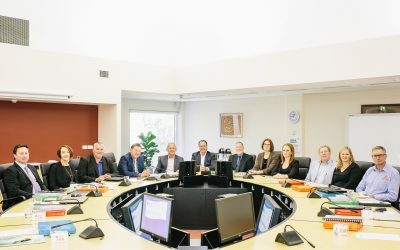 Following the re-election of Chairman Phil Walker in April this year, Regional Development Australia Central Coast (RDACC) has announced its new-look Board, comprising a panel of business and community leaders who will be responsible for driving economic and employment growth across the Central Coast. Led by Chairman Phil Walker and Deputy Chris King, the 12-person committee has been appointed on a three-year tenure and endorsed by the Australian Government’s Department of Infrastructure, Regional Development and Cities. RDACC Chairman, Phil Walker, said board members will play an essential and active role in the development of the Central Coast region. “2018 and beyond is a particularly industrious and exciting time for RDACC, with a number of critical regional growth initiatives being implemented across different sectors of our community,” said Mr Walker. “Major actions from the Regional Employment and Economic Development Strategy (REDES) and the Central Coast Food Innovation Initiative are gaining strong momentum, and we require a hardworking and dedicated core to ensure we continue to produce regional outcomes in these areas. “In selecting the new RDACC Board, we were specifically looking for regional leaders with vision, commitment and proven business acumen who could support and drive these initiatives to facilitate economic development and investment opportunities, as well as enhancing jobs growth for our entire region. RDACC Chief Executive Officer and Director of Regional Development, John Mouland, said the new Board represents an accurate cross-section of the local landscape and welcomes the opportunity to work together with all newly-elected members. “The new RDACC Board represents a diverse mix of community and business leaders who bring a wealth of knowledge, experience and skills about the strengths and challenges of our region to the table,” said Mr Mouland. “Almost half of the Board are newly-elected members (five out of 12), which provides an ideal combination of experience and fresh ideas. The RDACC Board will officially resume responsibility on 1 July 2018. Regional Development Australia – Central Coast (RDACC) is part of a national network of committees dedicated to growing strong and economically viable regional communities. RDACC builds effective partnerships between government, business and the community to provide strategic and targeted responses to economic, environmental and social issues affecting the Central Coast. As the voice for the Central Coast, RDACC develops regional growth plans and strategies that support economic development, create new jobs, encourage skills development and attract business investment.